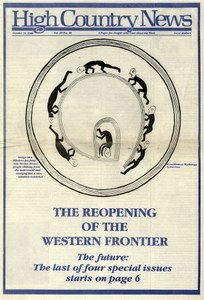 Part 4 of The Reopening of the Western Frontier, a four-issue series exploring the West's changing economic and cultural landscape. Until the early 1980s, southern Utah was a battleground against extractive industry. But many here are also opposed to industrial tourism. Is there a middle way that can support the region's small communities? Mining is being shoved off the West's center stage and into a smaller and smaller corner.